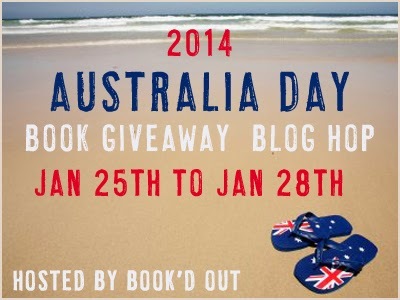 The Australia Day Blog Hop is hosted by Book'd Out- my first stop for all things review-y goodness. Thanks to Book'd Out, this Australia Day long weekend you have tonnes of chances to win great books by Australian authors. All you have to do- as the name suggests- is to hippity hop from blog to blog as listed on Shelleyrae's website today and participate in the fun and games to be had on any blog you so choose! 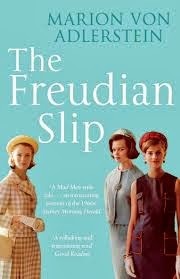 As for me, I will be giving away a slightly pre-loved copy of Marion von Adlerstein's novel, The Freudian Slip- a tale of advertising, sexism and revenge in 1960s Sydney. For your chance to win, simply answer the following question in the comments below. What state is Jasper Jones author Craig Silvey from? Best of luck to you! Don't forget to check back here on the 29th when the winner will be announced. Western Australia! This sounds like a fun book. Thanks for participating in the blog hop! WA? It sounds like a good book, I shall look out for it if I don't win it. He would be a Western Australian - lovely state, always worth visiting!! Craig Silvey is from Western Australia. Silvey grew up on an orchard in Dwellingup, a small town in the south-west of Western Australia. He currently lives in Fremantle. p.s. Thanks for the post and giveaway, Emily! Western Australia - I'm here too! Lovely post. Happy Australia Day, and thanks to Book'd Out for organising this great way for authors to celebrate with readers. Cheers, Noelle Clark (Journeys with Noelle). Craig Silvey's from Western Australia. I've only visited WA once to go to my sisters wedding in Kalgoolie. An amazing town. Western Australia... Thanks for the chance! Happy Australia Day holiday in WA! great looking book and fun plot -TY!